The heat resistant Star Trek Spock Oven Mitt from ThinkGeek allows you to cook in science fiction style due to its Vulcan salute hand gesture shape often given by Spock in the Star Trek films and television series. It will also give you the ability to safely apply a Vulcan nerve pinch to hot food pans / containers. It is available to purchase at ThinkGeek. The Star Trek Oven Mitt is made of 100% cotton and is lined and filled with 100% polyester. 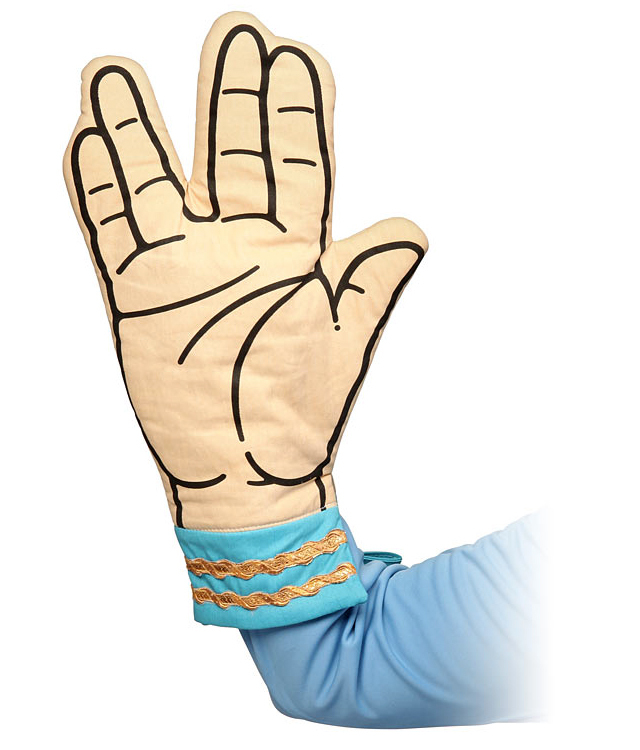 Not only does this Oven Mitt protect you beautifully, it also greets you with a warm Vulcan sign of peace. 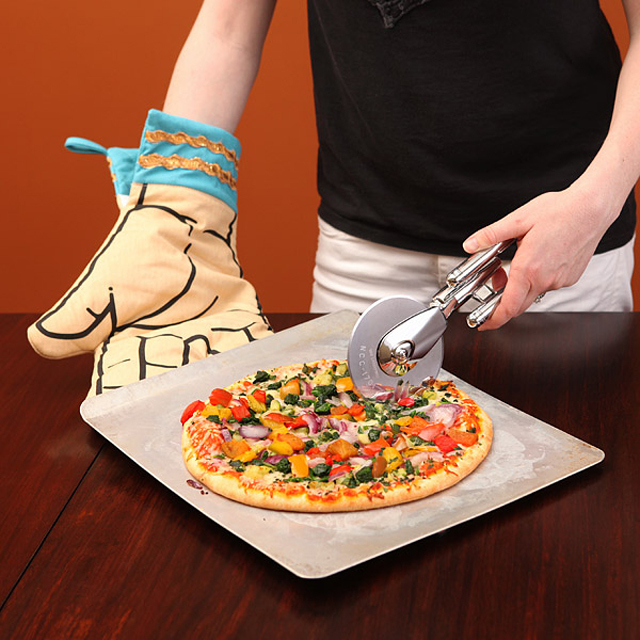 No longer will you have to choose between burning your food or burning your hands! The Star Trek Oven Mitt is too unique and too awesome to be shoved in a drawer. You’ll have it displayed where everyone can see it. 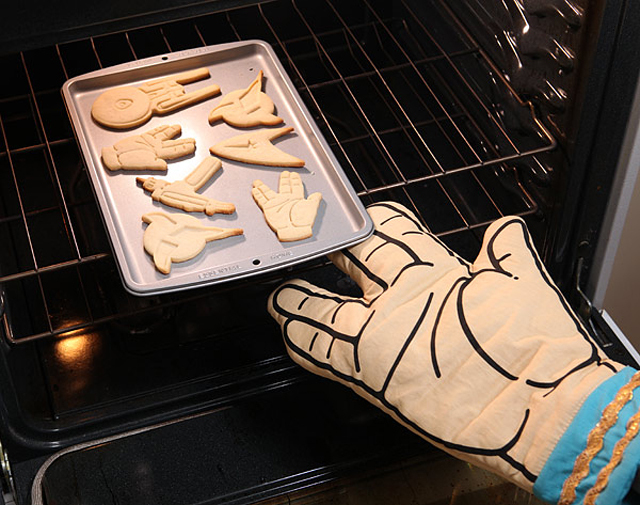 Get the Star Trek Oven Mitt: Cook well and prosper.